A presentation of a design and production company specializing in automation. Website of kitchen studio Lastav 72. Website with a presentatino of Vink - Plasty s.r.o. 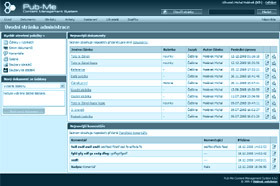 The project included a special plugin for adminsitraino of offers and a catalog of offered products. The website is fully responsive and ready to be expanded in a near future. A reservation system for dealers of carmaker Škoda. Škoda's organized sale campaigns for its dealers in the framework of which end customers could test drive new cars offered by the company. A reservatiion sytem for dealers of carmaker Škoda who took part at a presentation campaign of Škokda Kodiaq.